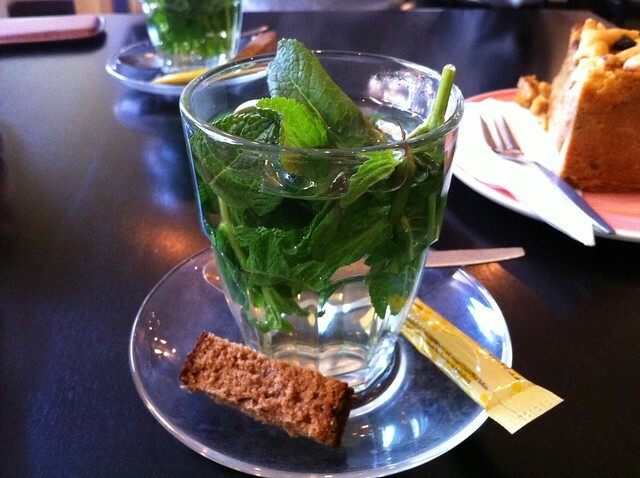 While in Amsterdam I noticed that in our hotel beside the coffee and tea there was a glass full of mint. At that time in the morning I thought nothing of it, and filled my coffee cup. (I don’t often do a lot of thinking before my morning coffee). But then on our last day we stopped in a cafe for one last coffee before heading to the airport. On the drinks menu was Fresh Mint Tea.